8mm is the default width for this ring. This ring is available in 4mm, 6mm, 8mm, 10mm and 12mm. 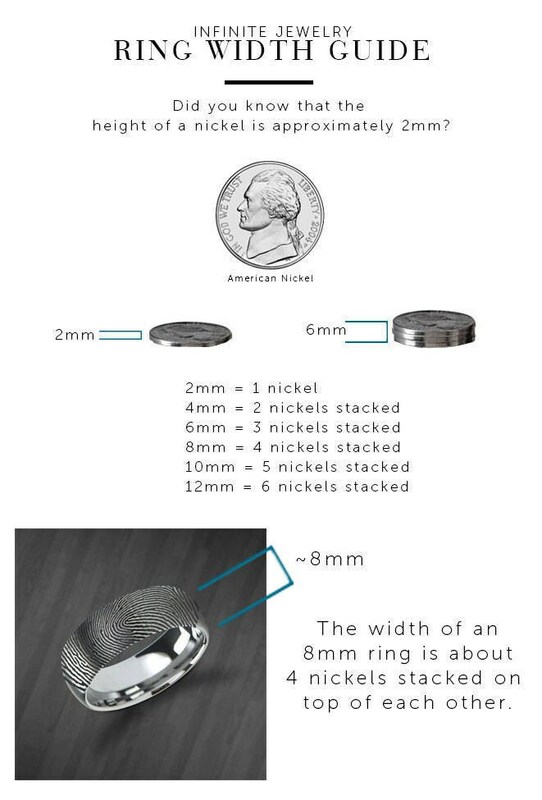 If you prefer a different width other than 8mm, please note this in your order notes! 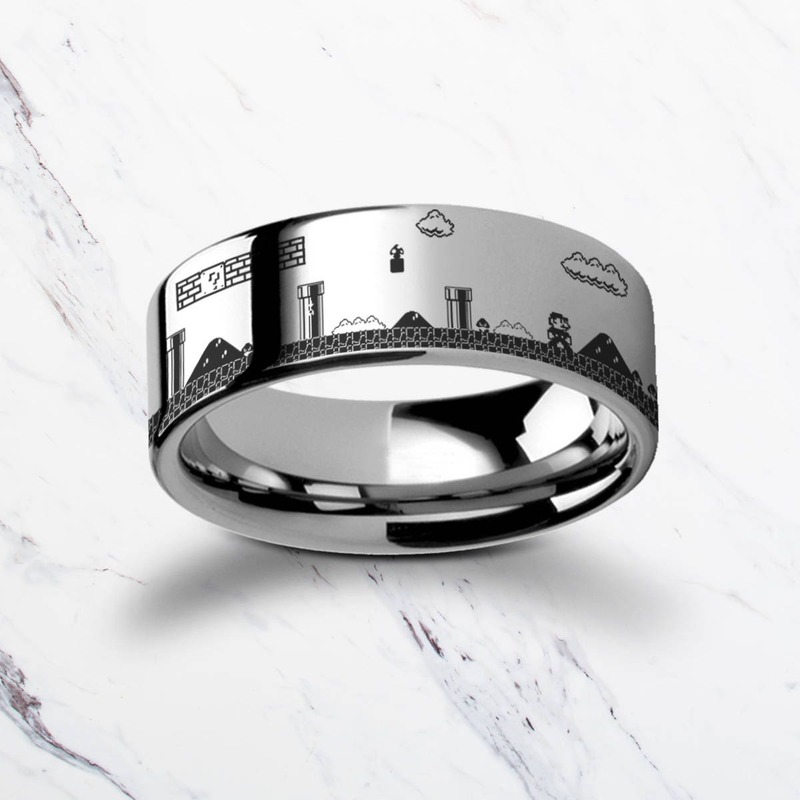 We're also available do create this design on all other rings in our shop. 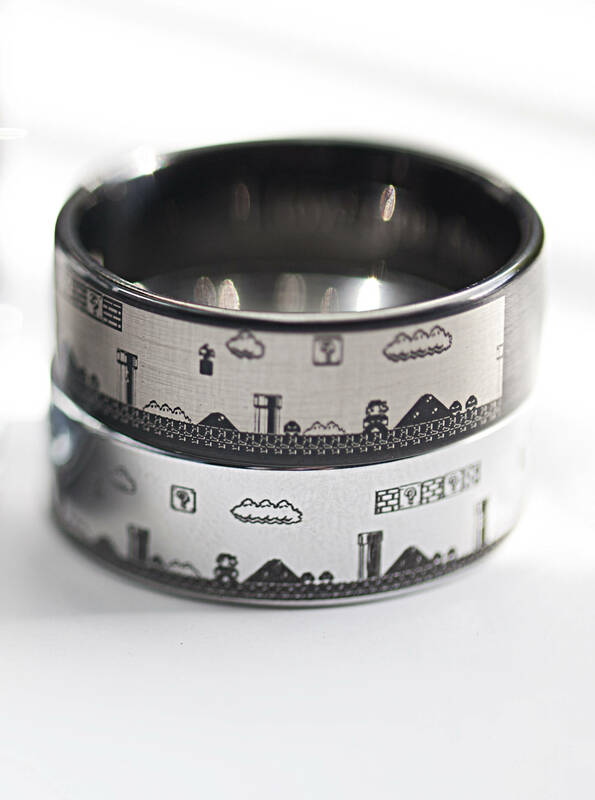 This is a flat polished tungsten carbide ring with an awesome level from the video game mario. This design is not to scale and certain aspects, such as clouds and pipes have been increased in size for visibility. 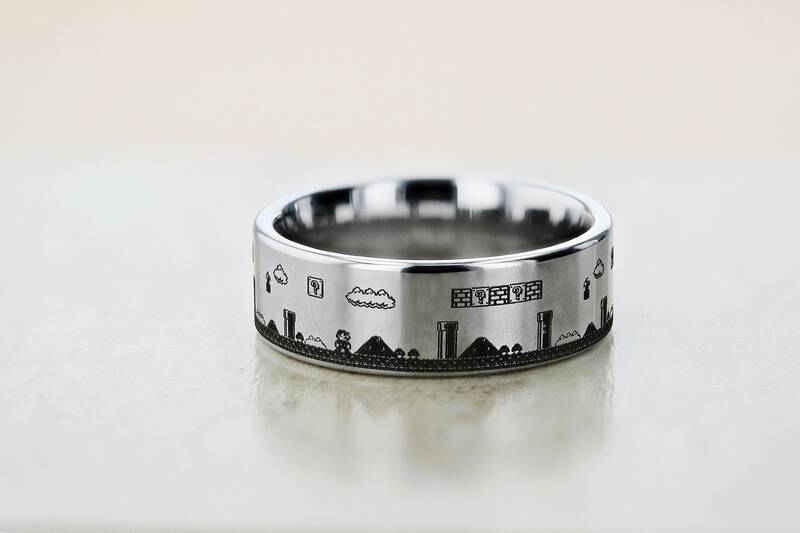 This is an awesome engraved ring for lovers of the original video game. The design is repeated around the ring and may vary depending on width and size. There aren't very many companies out there with as good customer service as this one. They really took really good care of us when we ordered the wrong ring size. Also, we love the ring - the quality is top notch. Awesome Company and I wouldn't hesitate to do business with them again. My fiance and I love this ring! It arrived quickly but I realized that I ordered the wrong size. 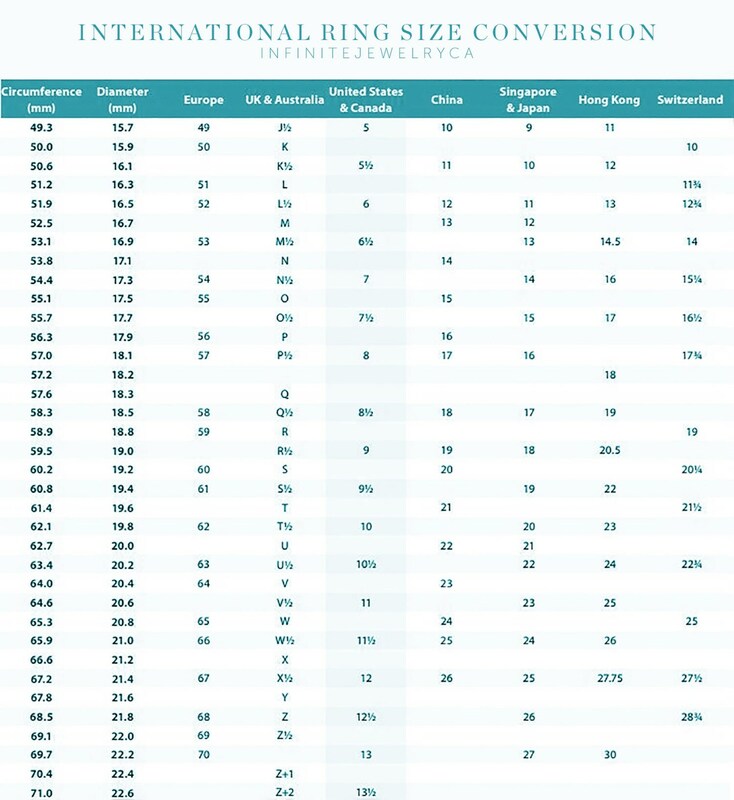 I contacted infinite jewelry and the responded within a short amount of time and was very helpful as to how I can make an exchange. After I sent the ring back, I received the new one in less than a week. I'm very pleased! Thank you! !